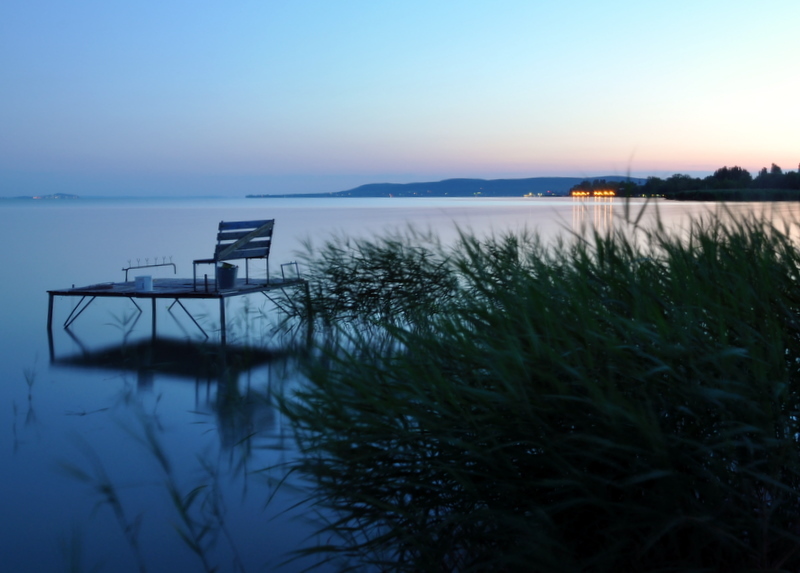 With surface area of 367 square miles, Lake Balaton is the largest lake in Central Europe. Because Hungary is landlocked, it’s been often referred to us the Hungarian Sea by the locals. But to the three of us visiting the lake… we’d just say that it was “ehh”. Maybe it’s the fact that I lived 30 minutes away from the beach in L.A., or that I’ve seen beautiful lakes in the high Sierras in California, or that even Poland has a lot of small but quite nice lakes all around. 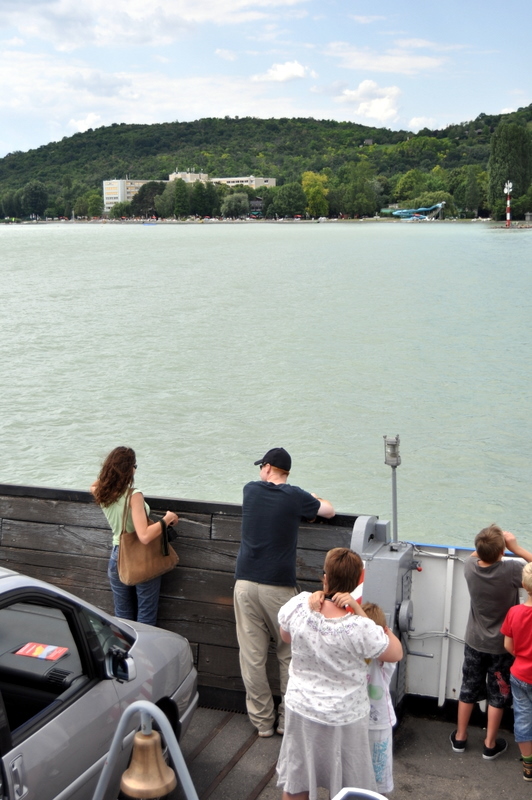 But for some reason neither of us was really impressed by the Balaton Lake. 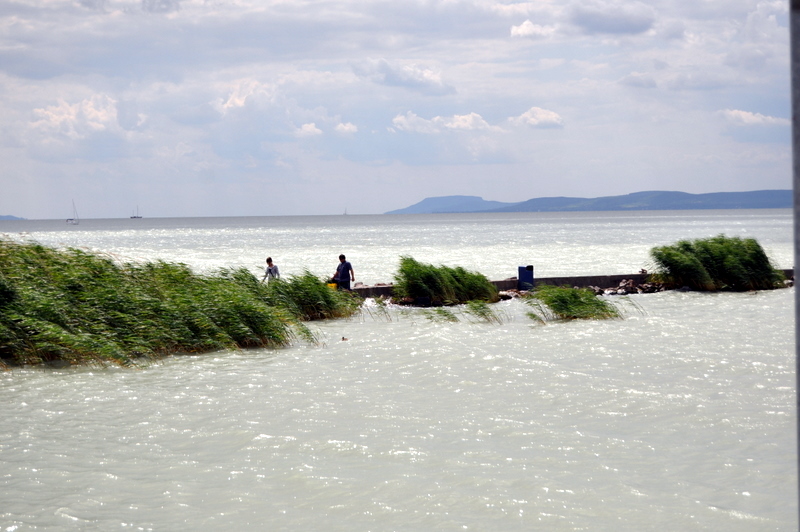 We felt weird about that because everyone we had spoken to prior to the trip really encouraged us to stop by the Balaton. Maybe we did something wrong? 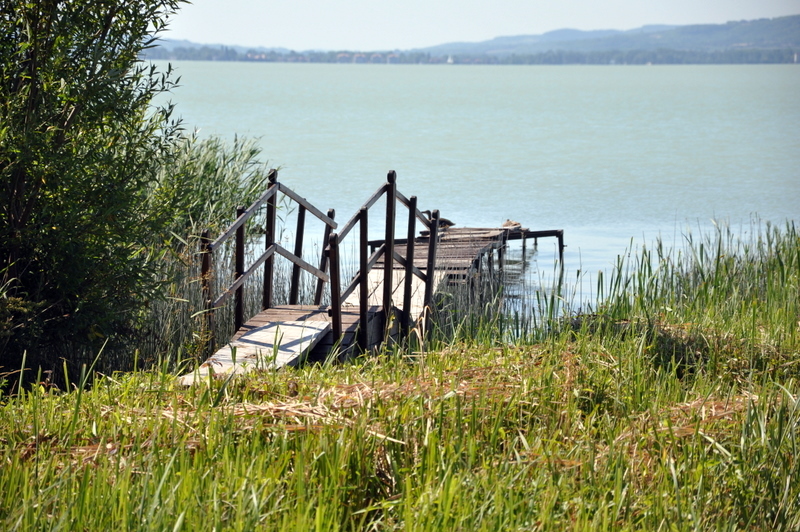 The lake is about 150km south east of Budapest. We didn’t know which shore of the lake we should stay at, so we decided to drive along the south shore, and then took a fairy across to the north. The two have completely different microclimates and even the beaches are supposedly different as well. On the south shore, the water is very shallow, we’re talking knee deep for about a half a mile in, and then only getting slightly deeper after that. On the north, it gets to about 8 feet deep fairly quickly but then again we wouldn’t know because we never even got in the water. We stayed at a random camp site, one of many lined all around the lake. To rent a camp site was only about $4 dollars cheaper than it was to rent an entire 4 person tent, with mattresses, fridge, electricity, all while not moving a finger to set up. We decided that was the best option for us. That evening we saw Germany lose to Spain in the World Cup semi finals in the local bar, where German tourists yelled excessively at the small TV every time a German player would mess up. Karolina and I tried to take some night photos with a tripod on the dock, but that turned out to be a mistake. While the camera was setup perfectly still, and the tripod itself wasn’t moving, we were both jumping around while swathing the thousands of mosquitos that attacked us the second we stepped onto the dock. I have never seen that many mosquitos all at once, literally a black cloud all around us. Inadvertently, through our jumping around, the whole dock started to move thus making any still photography impossible. Here’s the only photo that we managed to take that evening. 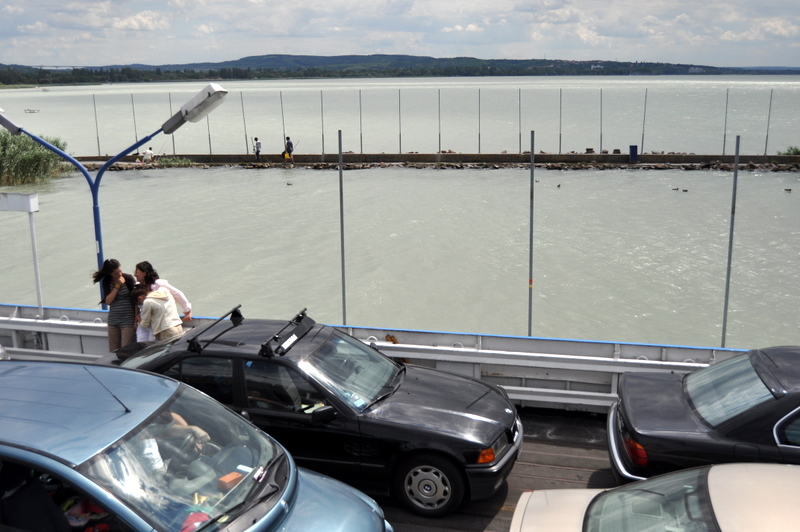 We were supposed to spend 2 nights at the Balaton, but after just one we decided to keep on driving. There was nothing at the Balaton to keep us there any longer, and unlike the people with camper trailers that clearly have been there for weeks already, we still had a lot of places to see ahead of us.